With more than 20 years in the voice recording industry, Worldly Voices is the very embodiment of the term voice of experience. We have completed voice over projects for a diverse range of clients, from Fortune 500 multinationals and major universities to local retailers and pharmaceutical companies. No job is too big or too complex for our friendly and responsive staff. We aim for 100 percent satisfaction with every project, which is why we collaborate closely with our clients from start to finish, doing as much quality control work as possible from the very beginning. This helps ensure everything goes smoothly during the recording session, thus minimizing the possibility of having to book extra sessions for additions or corrections, which can increase the cost. What’s more, we offer some of the most competitive pricing in the voice recording business, charging by the prompt rather than by the hour, helping to keep costs as affordable as possible for our clients. All of our voice recordings are produced at our professional studio in Nashville, TN, to guarantee the highest quality audio that is free of hissing sounds, static, breath inhalations, tonal imperfections, or anything else that would distract from the message or information you want to convey to listeners. You’ll be able to choose from a roster of seasoned female and male voice talent professionals who will represent your organization in an articulate, personable, and reassuring manner that fosters both trust and confidence. And, we can deliver voice prompts very quickly, most within three to five business days of being contracted. Worldly Voices provides a number of voice over recording services, all of which can be digitized in the non-proprietary format of your choice. Voice prompt recordings: With more than two million voice prompts recorded during the previous two decades, our experience and expertise with interactive voice response (IVR) systems is second to none. If you’re setting up an IVR system for the first time, we’ll be happy to review your script and offer feedback if necessary. Messages on hold productions: Don’t leave your customers listening to dead air or bland background music while they wait for a representative. Take advantage of the situation by marketing your company’s products and services to a captive audience in an informative and compelling way. 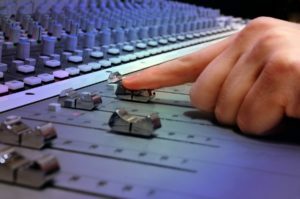 Multimedia presentations: Whether you need professional voiceover narration for a PowerPoint presentation, an internally produced corporate video, a mobile app, a website, or any other multimedia production, Worldly Voices can provide the audio component you need to take your project to the next level. E-learning voiceovers: Articulate, dynamic narration will help listeners remain engaged and focused as they follow along in a textbook, watch an online training seminar, or respond to audio prompts as part of their coursework. Certified translation services: We can provide translation services and record your messages, narration, or voice prompts in any of the world’s most-spoken languages. Worldly Voices only uses native speakers to ensure proper diction and pronunciation. And we always provide a transcript of our translations for your approval before the recording session. Worldly Voices has become the voice recording studio of choice for our customers by consistently meeting all of their high expectations. To learn more about our outstanding voiceover recording services and to obtain a free price quote, contact us today. Our commitment to excellence starts right hear. Big shout out to Lauren and team for their great customer service! No matter what the obstacle, this team always comes through. Great business, great people..thank you guys!